Project management skills are both exciting and in great demand around the world. As a Project Manager, you can get involved in some of the most interesting ventures the world’s biggest companies conduct. But training to be a Project Manager takes time, and many people start out incorrectly by taking the biggest and most complicated courses immediately. This free course is designed to make your project management training much more manageable. The course starts by outlining the most important factors that need to be considered when preparing for a project, giving you a powerful checklist for your future project planning. You will then learn about the various phases of the project life cycle and of the system development life cycle. This will include overviews of the analysis, planning, design and evaluation phases. By the end of this section, you will have a strong understanding of the structure and flow of any project you will manage in future. Next, the course gets into important details, taking a close look at project management methodology and basic tools. This will involve an explanation of the most important types of project management documentation such as program, system, technical, paper-based, electronic, and specialist user documentation. This will involve a full overview of crucial project management tools such as Gantt and PERT charts. Finally the course presents a project management case study where you can see the various phases of project management being carried out. By the end of this free course, you will have all the knowledge and skills you need to make the rest of your project management training much easier. 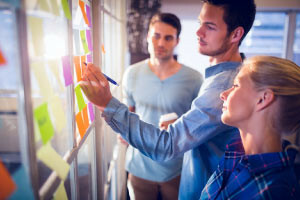 By being guided through the essential structures, processes, and tools project managers use, any future project management training you take will feel manageable and familiar. That will make life a lot less stressful, and put you ahead of the competition. So why wait? Start your training the smart way, today. Describe what needs to be considered when planning a project. Explain the various phases of the system development life cycle. Describe project management methodology in detail. Explain project management tools such as Gantt and PERT charts. Describe different types of documentation such as program, system, technical, paper-based, electronic, and specialist user documentation.